But while companies throughout the world are beginning to understand the importance of social media, most have yet to grasp the implications it has for marketing more generally. Blogs have become an essential aspect of all internet business campaigns, and any ecommerce site without one is failing to leverage one of the most important networking resources at its disposal. By providing quality, industry relevant content, businesses attract visitors who are genuinely interested in their products. Thoughtful posts provoke conversations, get readers commenting, and generate interest that feeds the industry and ultimately increases business throughout the sector. If you can keep visitors coming back to your blog, you will inspire strong loyalties from your customers. Branding has always been a cornerstone of the business world. But the internet, along with the modern proliferation of images and advertising, have made branding more important than ever. They have also made it more difficult. To succeed, companies must create brands that stand out from the sea of others, while at the same time remaining aesthetically appealing and consistent enough to provoke immediate recognition and positive associations. As you might imagine, this is no easy task. So companies need every outlet they can find to market their brands, and blogs are one of the best platforms around. 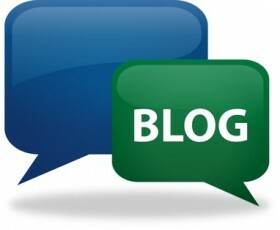 Blogs are an invaluable way to boost SEO campaigns and establish quality links to company sites and sales pages. Expanding your business’ influence online is a matter of expanding the web of connections between your own sites, and others like them. So don’t shy away from promoting other blogs or businesses. The more resources your website connects visitors with, the more traffic you generate, and the more exposure you ultimately give your business. The community that gathers around your business blog is also an invaluable source of marketing information. By monitoring conversations and comments, you will be able to get a feel for the trends, interests, and values your customers are most attracted to. You will also gain a better understanding of your consumer demographic, and be able to tailor your marketing campaigns to cater more effectively to the unique needs of your customers. Blogs give businesses a chance to showcase the human element behind their cold corporate façades. Highlight exciting new hires, post videos of your working environment, and convey your company ethos in creative ways that are impossible on other platforms. Blogs are an opportunity to connect on a human level with a targeted community, share humor, and forge loyalties. Blogging takes time, requires a substantial investment, and demands creativity. Its impact is difficult to quantify and its results are hard to measure. So many businesses are quick to dismiss its importance and write it off as an unproductive waste of time. But this way of thinking disregards the powerful personal connections and loyalties that online marketing is capable of sparking. Marketing is no longer just a numbers game. Innovative advertisers today have proven time and again that targeted campaigns are exponentially more effective than traditional mass marketing techniques. Blogs are instruments for building community, and communities are invaluable for online businesses. So start your blog today, and stop squandering the enormous potential of this unprecedented modern resource. Great points here for adding a blog to your business web site. The single one point that, I believe, is most under-utilized is 'cultivating a community.' Having repeat visitors in itself is not enought to call it a community. that those repeat visitors share something in common that ties them together. that there's some form of communication between blogger and readers AND between the readers themselves (= communication from reader to reader). Publishing great content to your blog is relatively easy to do, it only requires time and effort. Turning your blog into a place for a community is a much higher and also more rewarding task. I'm working on that for ibmm, we'll see how it turns out a few months from now.